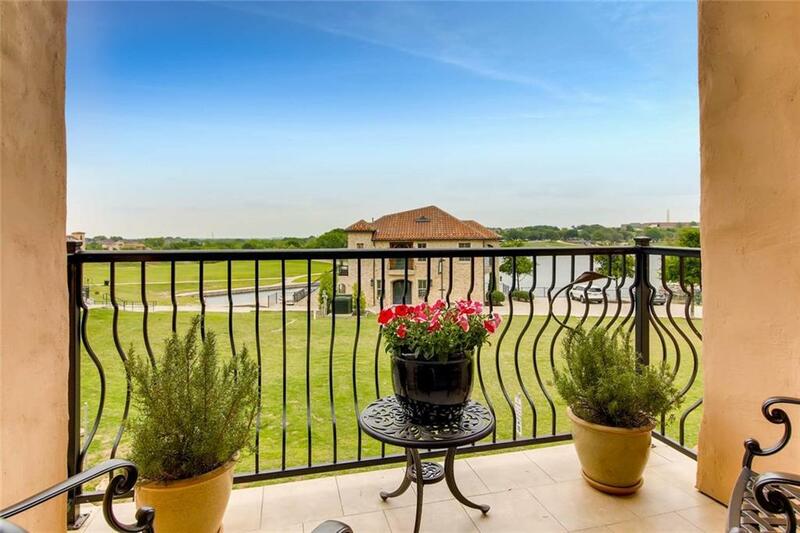 Charming luxury condo located in Adriatica Village, a European mixed-use community in the heart of Texas. 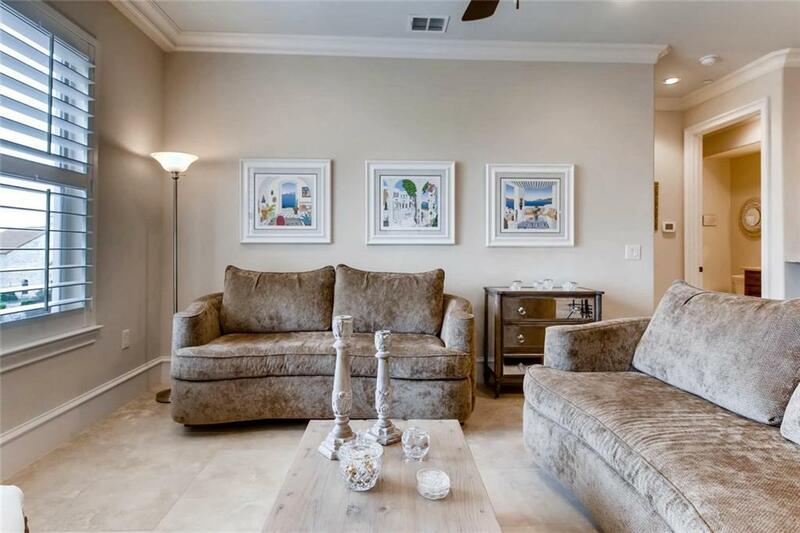 Spacious and open single-level floorpan with high ceilings. 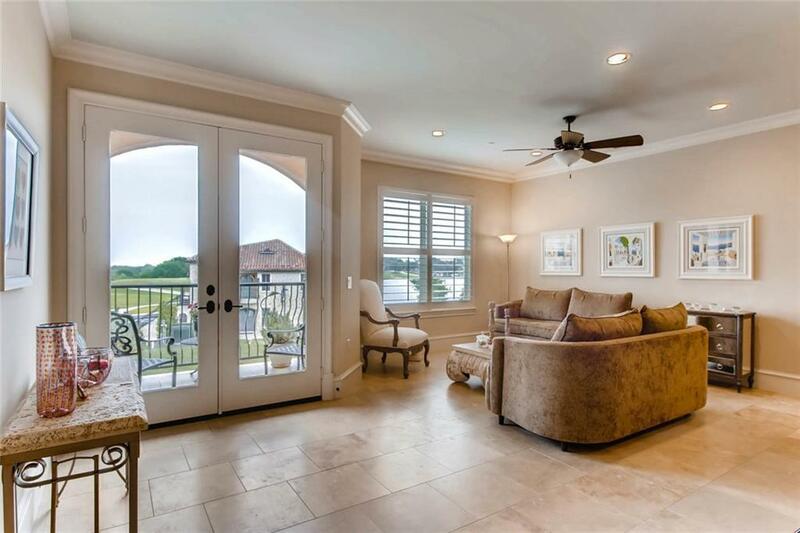 Elegant features include travertine floors, custom crown molding, high end stainless steel appliances i.e. Wolf, Sub-Zero, leathered granite counter tops, 2 reserved parking spots in attached covered garage, and extra storage room in the basement. 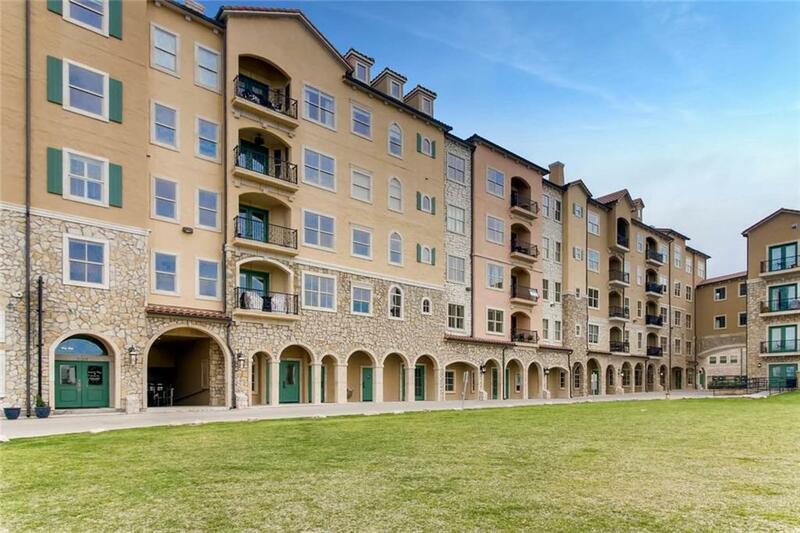 Amenities include hike and bike trails and walking distance to restaurants, unique shops and event center. The finest in urban living! Proximity to Hwy 75, 121 and 380. Welcome home!